Smart Device is a software that connects SORHEA’ s MAXIBUS UNIVERSAL and various VMS software. Systems composed of: 1 driver per Maxibus UNIVERSAL idependent of the number COM ports used and 1 driver per VMS server. 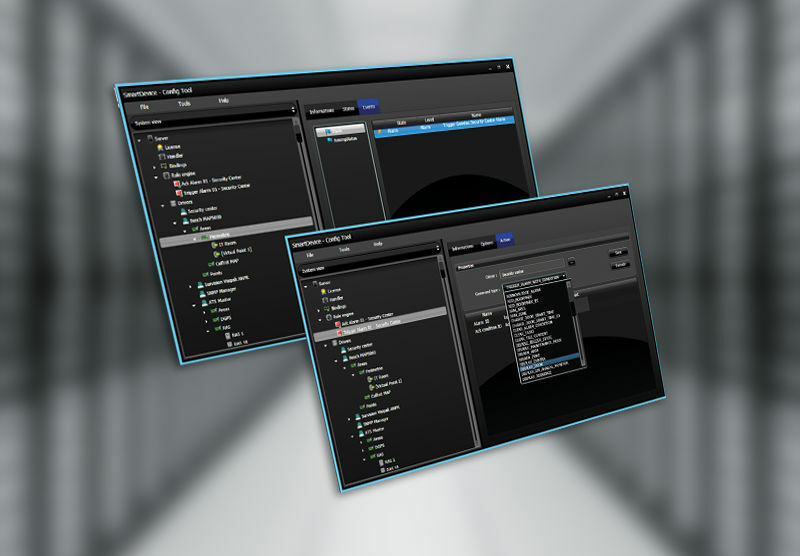 SMART DEVICE connects the MAXIBUS UNIVERSAL alarms with the events of the VMS software.